Waiting until we know what happens next, or how, or why, or when. Waiting until we're ready to write that book, or that scene. Waiting for enough perspective, or courage, or willingness, or empathy, or independence, or confidence. Waiting until we have the skill, or have done enough research, to handle a certain topic or story. Waiting until the draft cools off enough for us to read it (somewhat) objectively. Waiting to ask for feedback until we're ready to hear it. Waiting is not the same thing as procrastinating. From the outside, they can be hard to tell apart, and we can tell ourselves that one is really the other. But the gut knows. Frustrating as it can be, there are times when waiting is the best thing I can do for a work in progress. I've recently encountered two wonderful posts on plotting. Both came to my attention via the blog of Michael Merriam. The first was written by Mr. Merriam himself and posted at the Musa Publishing blog. It's a humorous take on the question of how does a non-outliner, a fly-by-the-seat-of-the-pants author, shape a story anyway? According to this post, it's not so much a matter of engineering the plot as discovering it. A sample: "30,000 Words: Considers buying plot--cemetery plot--because the novel and characters are starting to kill me. Story still moving along, despite no plot." The second was by Patrick Sullivan over at Words from the Herd, and it discusses the importance of knowing where the story needs to end. And not only that, how it needs to end: the stakes, the main conflict, the source of the main conflict. And how the ending relates to the beginning. Wonderful stuff. An excerpt: "If you have an end in mind at the beginning of your writing, then the beginning of the story is able to ask the question that the ending must answer. Everything in-between is designed to move the story in a dramatically satisfying way up to that pre-defined conclusion." So, here we have two seemingly contradictory ways of looking at plot, both of which strike me as equally true and valid. How can this be? I think that, for me, some of these elements operate just below the conscious level during the first draft, and the rest of them I tackle, more consciously, during revision. I've had both experiences. I've gone typing along, not sure where I'm going but just knowing instinctively that I need to go this way; I've seen unconsciously-planted plot seeds ripen perfectly later in the book, exactly when they should. I've also deliberately manipulated manuscripts to reach the necessary level of tension or significance; to make sure the main character has the most important role; to echo the beginning in the ending (or vice versa). It can work either way, as long as it works. Today I'm posting at YA Outside the Lines on "Taking off the Parent Hat." It's about how "writers can’t parent their YA characters. We can’t protect them from their own mistakes. Sometimes we have to let characters do things we would never want our own children to do." You may have heard about the importance of pacing, but practical, explicit how-to tips are hard to come by. Until this post of Elissa Cruz's! 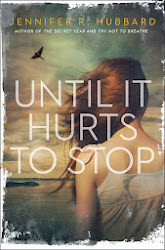 A sample: "The funny thing about pacing is that different parts of your story require different speeds in order to get something that feels like a steady pace throughout the the entire novel." Pacing is an element that differs a lot between short stories and novels. When I made the transition to longer works, it was one of the hardest things for me to learn. In a short story, I found pacing relatively easy: I would bring readers into the story by drawing them into a scene, and then as quickly as possible, I would start working to get them out. I would tell only what was necessary to get to that ending. For me, writing a short story was like being in a building on fire: the rule is, keep moving toward the exit. Stories are compact, focused. They can be just a few words long. While there certainly are longer stories with a more leisurely pace (see, e.g., "The Dead" by James Joyce), a short story is often concentrated word power, beautiful in its brevity. I still tend to treat my novels as if I have to pay the printer by the word. My drafts tend to increase in length during revision (before a final trim), and my critiquers and editors usually ask me to add more than subtract. And this isn't a goal I impose on myself artificially: it's an ingrained preference, a natural love of minimalism. I was going to say I'm easily bored, but then I can read the same sentence 50 times while trying to pare it down to its best self, so I'm not sure that's true. Of course, it isn't the case that shorter works are all faster-paced than longer works. A novelist can also use the "building on fire" approach, or can set up all sorts of mini-goals to move the reader along. I'm convinced that one reason The DaVinci Code became so popular was its pacing. In every scene, a new goal or question was set up. The characters raced all over Europe. People died. It wasn't just that there was a lot of action; there was a lot of action all the time. Fast pacing isn't necessarily better than slow pacing, either. I think our current market has a preference for fast pacing, but there are slower-paced classic novels that have lasted for centuries. Sometimes we want to turn pages as quickly as possible, in a feverish rush to find out what happens next. And other times we want to ease into a story and have it transport us in every comforting detail. Sometimes we want an amusement-park ride to whip us around in the air, and sometimes we want a Sunday stroll. "Walking enables me to take a break from the writing desk. Sometimes I need to stop engaging my conscious mind with the story at hand, and let the subconscious work." Also, there are pretty pictures! This latest in my series on the "books of our youth" is guest-written by Angelina C. Hansen. How many times in my life have I had to explain my love for eight-legged creatures? Most people think my passion for spiders is a little strange. And when I stop and think about it, I have to agree. I don’t imagine many young girls spent most summer days in their backyards watching shiny black spiders with red hourglass bellies, feeding them grasshoppers, and giving them names like Charlemagne and Champagne. A few years back I reread my favorite childhood book, E.B. White’s Charlotte’s Web, and the truth was revealed. One particular passage showed how much this beautiful story of friendship had touched my seven-year-old heart. Exactly! And thus the reason I never kill spiders. Charlotte was the first character I fell in love with. I loved the story so much, I suffered the relentless badgering of older brothers who were embarrassed to walk to school with a sister who had her nose stuck in a book. But I couldn’t put it down. Somehow I lost my library copy before I finished and thought I’d never get my hands on another. Oh, the tears. And the relief when I realized there was more than one copy in the world. And oh, the tears when Charlotte died! Books read by children can impact their behavior for the rest of their lives. 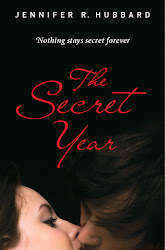 Angelina C. Hansen is a young adult novelist with a serious fiction addiction. When I was growing up, anytime I encountered anything chocolate, it was usually milk chocolate. And while I would eat milk chocolate, it was sweeter than I preferred. What I really liked was dark chocolate, with its bitter edge. Not everyone likes a bitter edge. In fact, one of the surprises of my adult life has been the new popularity of dark chocolate. I'm enjoying that, because it means more dark chocolate is now available more places than ever before. Maybe it will be a fad, and in a couple of years everyone will go back to milk chocolate. Well--almost everyone, because I'll stick with the dark. When I mention that "bitter edge," it makes me think of my taste in fiction, also. Contemporary realism is like dark chocolate in that way. Often, these are the books that cover darker topics. Some people find them too bitter, but many people find just what they need: a depth and richness that is satisfying in its bittersweetness. On Saturday, I'll be signing at the Jenkintown, PA Barnes & Noble from noon - 2 PM, along with Elisa Ludwig and Alissa Grosso. 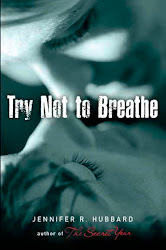 I was honored to see Try Not to Breathe on the YALSA Best Fiction for Young Adults nomination list. There are some awesome books on the list so far, and yes, it is a delight just to be nominated. P.J. Hoover, author of Solstice and The Emerald Tablet, interviewed me as part of a series on the Alumni of the 2k classes (I was part of the Class of 2k10). Along with talk about how to survive the debut author experience, there's also a gratuitous Cute Cat Photo involved! And now, for writerly thoughts: I may have mentioned that I've been reading the letters of Jack Kerouac. I've gotten to the point where, IMHO, he finds his voice. Inspired by a long autobiographical letter from Neal Cassady, he begins writing long autobiographical letters of his own (addressed back to Cassady). He writes these letters with a rhythm and flow, a vulnerability and lack of self-consciousness, that set them apart from his earlier work. Shortly after penning (or typing) these letters, he sat down for the marathon rewrite session that produced the famous scroll* of On the Road. Most writers don't find their voices so suddenly and dramatically (and, to tell the truth, this may only have been the spark that lit the piles of fuel that Kerouac had painstakingly gathered, the hours he had put in on reading and writing before this "sudden inspiration"). Most writers don't have someone serve as their muse quite as concretely as Cassady did for Kerouac. * But it's exciting to witness a writer's breakthrough. We never know when it's going to happen or what's going to trigger it. We plug away at our craft, and then--sometimes--we manage to shift to another level. *If you don't already know this story: Kerouac fastened sheets of paper together to form one long scroll, so that he would not have to interrupt his writing by taking pages out of the typewriter and putting in new ones. Methinks he would've loved computers, for the ability to type without interruption. *I believe Cassady also served as a muse for Allen Ginsberg, and probably other Beat writers as well. Extreme Cropping: headless models, etc. I like Extreme Cropping in cover photos. Now, I know that headless models were so common on YA book covers a couple of years ago that it bordered on the ridiculous. I've even envisioned a cartoon labeled, "YA Models Convention," where the picture would have a bunch of headless figures, sitting around holding coffee cups and wearing nametags and going to lectures and such. But I have to admit that I even like headless models, in moderation. As a reader who has very strong feelings about wanting to picture the characters myself, I like the "Everygirl" (or is it "Anygirl?") quality of the headless model. I loved this cover, by the way. The dark background was appropriate to the fact that the characters usually met at night. Best of all, the hiddenness of the faces captured the secrecy of the relationship. But I've seen complaints that the cropping of photos--especially photos of girls--can sometimes seem like dismemberment, objectification. Some people see the YA collection, with its extreme cropping, as a series of covers strewn with body parts. I've seen a lot of complaints about photo cropping on book covers, and I do understand some of the criticisms. But I wanted to speak up for the designers who use cropping to show us something interesting, eye-catching. "... write only what kicks you and keeps you overtime awake from sheer mad joy ..."
--Sara Zarr on the revision process. Follow the link for the full cycle of Revision Thoughts! If you think I'm linking to it because I identify with it, you're right. "A suitcase overloaded with stuff you won't even need is frustrating to lug around. So is a novel overloaded with backstory." --I recently posted about limiting backstory and exercising restraint in what we tell the reader about our fictional worlds. In this recent Cynsations interview with Cynthia Leitich Smith, Karyn Henley gives some practical hints about how to filter out unnecessary backstory. "Sometimes, we get tired. We just want to be be DONE. We want to believe that those whispers saying 'good enough' are true." --Jo Knowles discusses that temptation to declare a project finished before it really, really is. ... being on a beach with some women friends who commented on how bad they felt about themselves when they saw young girls looking good in bathing suits. ... being at an author event where an approximately-21-year-old female author was actually apologizing to her fellow (older-than-21) panelists for being published at such a young age. ... a review I heard of a movie version of Snow White, which reminded me of that central conflict between the wicked queen and Snow White, and how the queen fears Snow White's youth as much as her beauty (and how that story links youth and beauty). 'Why do you have to?'" Parents in YA books are usually absent/abusive/neglectful, or else involved and sympathetic. The close-but-fraught-with-conflict parent-child relationship isn't discussed as much nowadays, I don't think, and there's interesting potential there. On the other hand, there is the work of May Sarton, who respected (often revered) her elders. At the age of seventy, she talked about how she felt she had come into her own, how powerful she felt. She spoke of the beauty of her elderly friends, and never seemed to envy her younger friends. I can easily imagine a parent, teacher, or grandparent character espousing this view in a story. There are so many ways to look at age, and at intergenerational relationships. The latest guest post in my series on the childhood books we never forget is by Charity Tahmaseb. Enjoy! How many writers get to deliver newspapers to their favorite author’s childhood home? I may be one of the few. Not only did I grow up in the same town as Maud Hart Lovelace, author of the Betsy-Tacy series, I lived close enough to her old neighborhood that, for a time, my paper route included Betsy's, Tacy's, and Tib's houses. While I read (and reread) the entire series, the four books that made up Betsy’s high school years entranced me. I can't remember how young I was when I first discovered them, but they fascinated me in the same way my daughter is awed by teenagers today. --Don't let boys push you around. If they've snatched the coveted back row desks you and your best friend have already claimed, it's okay to get fierce. --Don't completely make over yourself just to snag the rich, hot boy, even if he has an equally hot car. This has a way of backfiring. --Don't start a yearlong project the weekend before it’s due, no matter how hilarious this is for the reader. --Remember that popularity isn't everything. It may cost you something you really want, like new friends and that essay contest. --Remember, when a boy tries for more than you want to give, it's more than okay to say no. --And most importantly, remember than when faced with a love triangle, Edward and Jacob have nothing on Tony Markham and Joe Willard. Not. At. All. On the surface, my high school years were nothing like Betsy’s. And yet, even now, one hundred years after the books take place, the emotions still ring true. This is what drew me in as a child/teen, why I’m itching to reread them today, and why, like Maud Hart Lovelace, I used a fictional version of my hometown (and hers) in my first young adult novel. Charity Tahmaseb lives and writes in Minnesota and like Maud Hart Lovelace’s Betsy, is addicted to making lists. She is a co-author of The Geek Girl's Guide to Cheerleading. Sometimes I have a sense of all writers, past and present, contributing to a huge body of work that is our collective literature. While only a few names from each generation are remembered, the influence of those with forgotten names still lives on. Those who read that "forgotten" work were changed by it, and incorporated something different in their own work as a result. The river of stories flows on, and those of us who dig the channels for the river may be able to point to a specific curve that we shaped, or we may find that our work is not readily visible, that it's covered by the water. Either way, the river flows. I recently read three blog posts, very close in time, that addressed a similar topic. When the Universe jumps up and down waving its arms in my face that way, I figure I shouldn't ignore that signal. And man! Are they hard-going!!!! It’s partly due to the fact that I was still learning my craft that they’re full of so much exposition, but it’s also because of all that world-building I did, and wanted to share. It’s a rich, vibrant world to be sure, but did I really need to write so much of it into the stories?" And now Tabitha Olsen: "... the very first time I sat down to write a story, I couldn’t wait to tell the reader everything. ... Literally, everything that happened in the story, as well as a fair bit of research, was included. You can imagine the big mess I ended up with. :)"
Finally, taking a slightly different road through what I view as the same neighborhood, Anna Staniszewski: "If you have to spend a lot of time explaining the rules and making sure your readers 'get them,' then you might be making things overly complex. And sometimes, that can be a big turn-off for readers." In other words: don't let elaborate story-telling (whether setting, plot, backstory, characterization, style or tone) drag down the essential thing, which is the story itself. p.s. If you have a taste for live book events, I'll be at the Hudson (NY) Book Festival this Saturday, May 5, from 10 to 4; and I'll be at Books of Wonder in NY City on May 19 from noon to 2 (even if you can't make the latter event in person, you can order signed books via the link). Books such as Bel Canto (Ann Patchett); Girl, Stolen (April Henry); Whatever Happened to Cass McBride? (Gail Giles); Stolen (Lucy Christopher) and Five Were Missing (also published as Ransom, by Lois Duncan) explore the complicated relationships that sometimes evolve between captives and captors. One real-life situation that made US headlines in the 1970s was the case of Patty Hearst, a kidnapped heiress who ended up robbing banks with her abductors. The Hearst case was widely viewed as an example of Stockholm Syndrome (so named from a 1973 Swedish bank robbery in which hostages defended their captors). In The Breakaway, a family of thieves kidnaps Naomi Jensen. While Naomi understands the basic concept of Stockholm Syndrome, she finds it difficult to keep her defenses strong. She plans to try and escape her captors by convincing them that she is under their spell and falling in love with one of them … but the plan works too well when she actually does fall in love. She also finds herself dealing with sympathetic emotions for the other captors, as well. How does one break such a bond? And is it possible? These are the kinds of questions I asked myself every time I worked on The Breakaway. To this day, even with the book completed and published, those questions fascinate me. Stockholm Syndrome is very real, and as my main character discovers in the novel, it is as real as the abuse she suffered in her past, yet never recognized. I think one of the reasons I love The Breakaway is because of the layers I peel back ever so slowly, both for the reader and Naomi. It has been a unique, suspenseful, and intriguing story for me to write. THE BREAKAWAY: When Naomi Jensen is kidnapped, her one plan for escape is to convince one of her captors she is falling in love with him. Getaway is Lisa Brackmann's follow-up (though not a sequel) to Rock Paper Tiger. A woman's Mexican vacation veers into deadly territory, when what starts as a fling ensnares her in a dangerous underworld. The Breakaway, by Michelle Davidson Argyle, is about a kidnapped young woman whose plan to escape by ingratiating herself with her captors leaves her unsure about the difference between her real emotions and the complicated mind games necessary to survival. More on this exploration of Stockholm Syndrome tomorrow, when I'll have a guest post by the author!